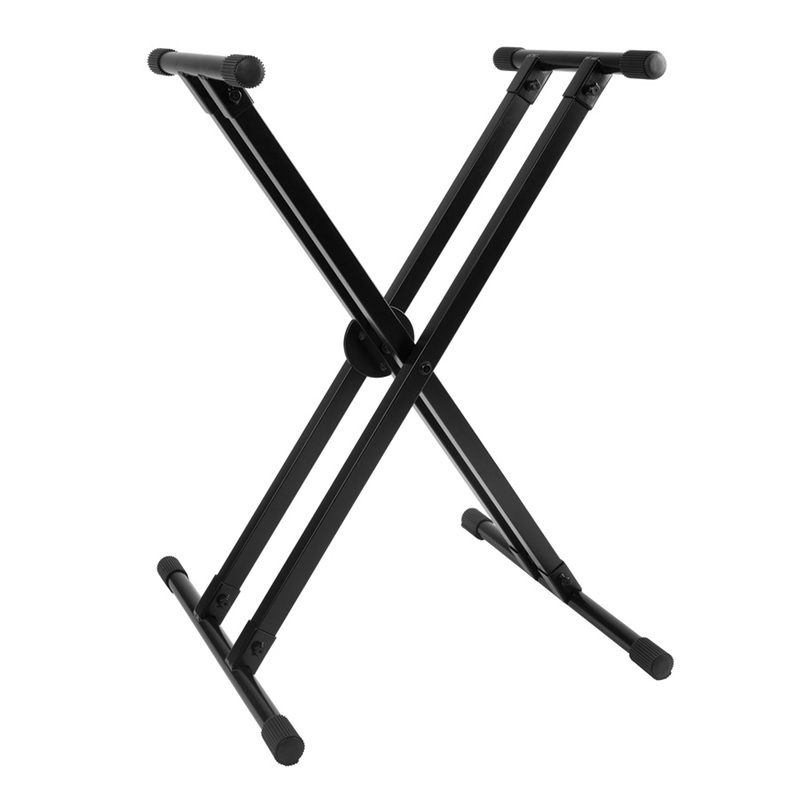 The PL4KD double braced keyboard stand with single-tier is very lightweight and inexpensive. It folds up neatly for easy transport and comes with rugged rubber skids to prevent the keyboard from slipping around, as well as with rubber foot skids that give it a stable grip on the floor. • Supports keyboard up to 150 lbs.